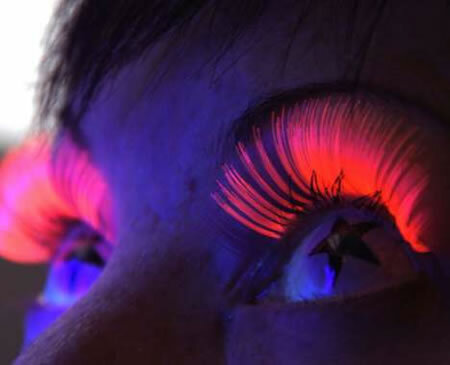 Artist Jessica Harrison takes dead flies legs and attaches them onto the eye for what she aptly called ‘flylashes.' The inventive looking false eyelashes are sort of on the grosser side of beauty. 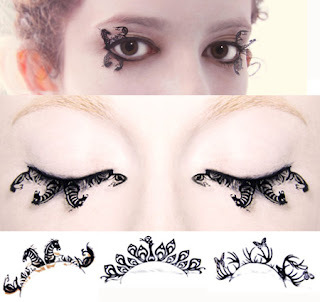 The crooked and bent lashes are glued onto the eye and are meant to look like luscious eyelashes. 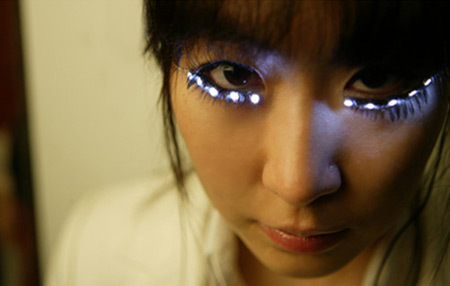 Created by Soomi Park, the LED Eyelash project is brought into the world from a simple question: Why do women want larger and bigger eyes? Sometimes, the desire for bigger eyes can become almost obsessive, and many women opt for plastic surgery in order to make their dream come true. Soomi calls this, the fetish of Big Eyes. LED Eyelash is a clever product that speaks to many women's desire for bigger eyes. It features an inclination sensor with mercury to turn on and/or off. The sensor can perceive the movements of the pupil in the eyes and eyelids. If you wear it and move your head, LED Eyelash will flicker following your movements. 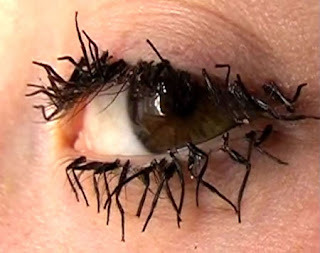 It is as simple to use as wearing false eyelashes and as easy to remove as taking off a piece of jewelry. In 2006, designer Shu Uemura created these custom diamond eyelashes for Madonna. The custom mink false eyelashes are encrusted with 0.75 carats of stunning diamonds. 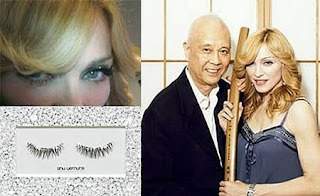 Uemura sells the lashes for $10,000 at seven different Neiman Marcus stores, but if you are looking to spend "a bit less" than that, you might be interested in Uemura's replica diamond eyelashes which run for $25. Created by Paperself, these paper eyelashes are inspired by the art of Chinese paper-cutting, blending an element of traditional culture with contemporary design. 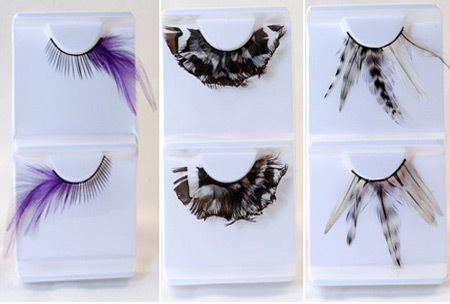 Intricately cut and delicately pretty, these eyelashes are available in eleven different styles, each infused with symbolic meaning rooted in Chinese culture. Created for the London Edge event in September 2008, these UV-Lashes were designed by Manic Panic N.Y.C., an alternative cosmetic brand founded by sisters Tish and Snooky, singers in the original Blondie line up. What can be more patriotic than having eyelashes with your country's colors? These eyelashes are made of long untrimmed real feathers, so if your boyfriend says “you make me fly!”, you'll know why. 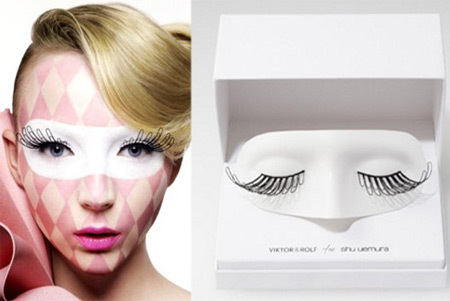 These artificial lashes are inspired by the boring paperclips we often neglect and overlook. The famous duo Viktor & Rolf have created three pairs of this fake extensions. So, after all, paper clips are not so useless when it comes to fashion. Shu Uemura Neo Reflector eyelashes are inspired by an architectural approach of future fashion. These elegant, silver coated lashes softly sparkle with moon shape; sequins dimensional design with mirror shine effect for outstanding cyber-chic eyes. "Nothing is sexier than fun and flirty lashes and this month I will demonstrate the art of faking it. 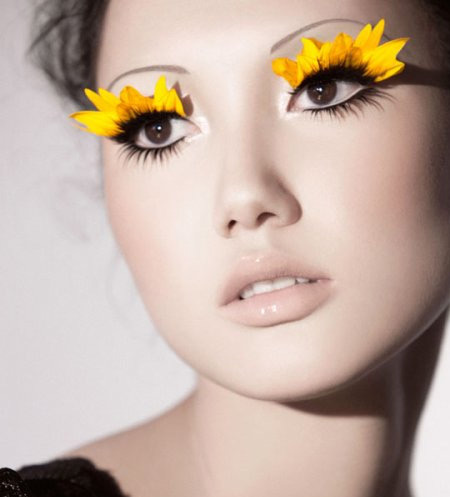 For my lash story I wanted to do something unique using sunflower petals as lashes" said Troy Jensen, the creator of these petal eyelashes. He created this fake eyelashes for a photoshoot in 2010. In his blog, he wrote the steps he followed for making the petal eyelashes and also how he prepared the model.